An all-star quintet of young lions brings you the fresh sound of jazz’s up and coming talents. The leader, and a Westchester native, Julius Rodriguez, has already been making a name for himself in the New York City jazz scene. 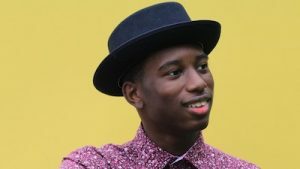 Julius’ budding career, boasts shows at well-known venues such as Jazz At Lincoln Center, Jazz Standard, and Smalls Jazz Club and performances with recognizable names including Javon Jackson, James Morrison, Wynton Marsalis, and Jazzmeia Horn. This year alone he has traveled to perform in Japan, Russia, Spain, and Australia. The band features Giveton Gelin on trumpet, Morgan Guerin on tenor saxophone and EWI, Daryl Johns on Bass, Jonathan Barber on drums, and Julius on piano and keyboards. They will be playing arrangements and original compositions by millennial jazz artists from around the world. See them at the Jazz Forum on Friday, Jan. 19th and Saturday, Jan. 20th at 7 & 9 pm both nights!